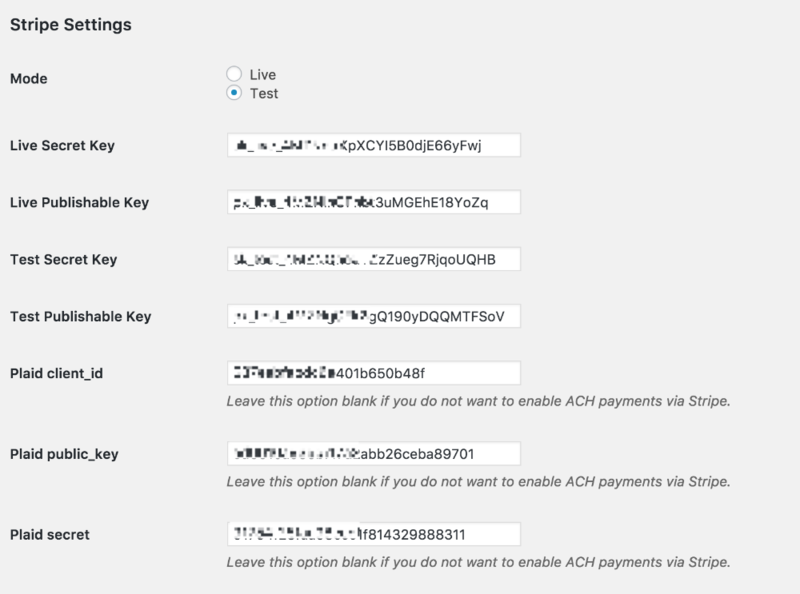 You want to start accepting ACH payments via Stripe...awesome. Plaid has some great documentation on how to get started, so I'll review this documentation and come back here when you get to "Step 3: Integrate with Plaid Link". You'll also want to check out this link as well. Now you just need to add your Plaid credentials to the payment settings. Everything else is handled by Sprout Invoices. Test credentials for Plaid can be found here. For most Plaid users you'll want to use the "Development", otherwise Plaid can be pretty pricey. In order to use Stripe in a live environment but keep Plaid in Development you'll want to use the code snippet below. Error: Stripe may not be integrated with your Plaid account. The likely cause for this error is that you haven't yet completed the Stripe Settings, including adding the Live keys.